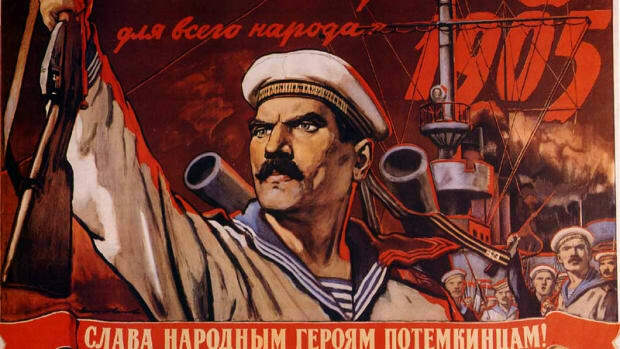 Long before the invention of cannons and other modern weaponry, ancient navies often clashed in spectacular sea battles involving hundreds of vessels and thousands of sailors. In 480 B.C., Ancient Greece was fighting for its life. The Persian conqueror Xerxes had defeated a coalition of Hellenic defenders at the Battle of Thermopylae, and his forces had sacked Athens and torched the Acropolis. Total defeat seemed on the horizon, but the beleaguered Athenians managed to regroup with their allies on the nearby island of Salamis. There, the admiral Themistocles hatched a plan to strike a last-ditch blow against Xerxes’ 800-ship armada. After using a slave to feed Xerxes false information, the Greeks lured the Persian navy into the narrow channels near Salamis. 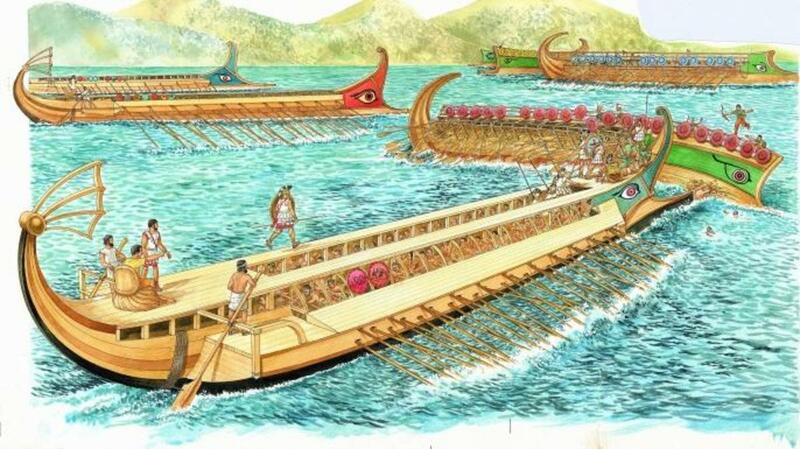 Arriving in the straits, the Persians were surprised by a fleet of some 370 Greek Triremes, which sliced through the water single file and began ramming and boarding their vessels. The Persian armada was so large that it had trouble maneuvering in the cramped waterway, and it soon fell victim to panic. From a specially constructed throne on the mainland, Xerxes could only watch as the numerically inferior Greek force sank more than 300 of his ships and butchered thousands of his sailors. 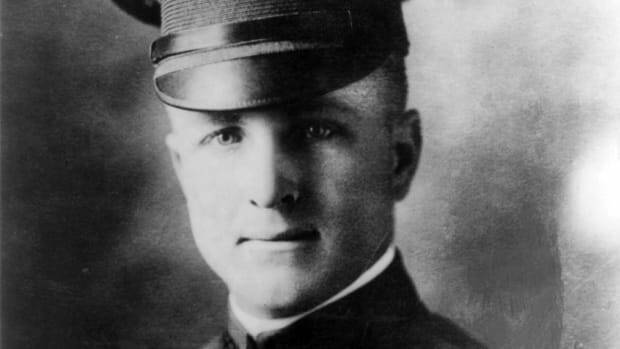 With his fleet in shambles, he was forced to put his invasion on hold and withdraw. Xerxes never managed to establish a firm foothold in Greece again, leaving many historians to cite Salamis as the battle that saved Hellenic culture from annihilation. 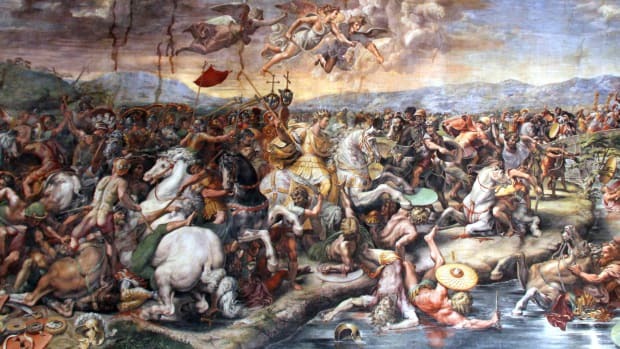 In 31 B.C., opposing armadas under Octavian and Marc Antony clashed near the Greek peninsula at Actium. At stake was control of the Roman Republic, which had hung in the balance since the assassination of Julius Caesar some 13 years earlier. Antony and his lover Cleopatra commanded several hundred ships, many of them well-armored war galleys equipped with wooden towers for archers, massive rams and heavy grappling irons. Octavian’s vessels were mostly smaller Liburnian craft capable of greater speed and maneuverability and manned by more experienced crews. According to the ancient historian Plutarch, the ensuing engagement quickly took on the character of a land battle, with the two sides firing flaming arrows and heaving pots of red-hot pitch and heavy stones at one another’s decks. 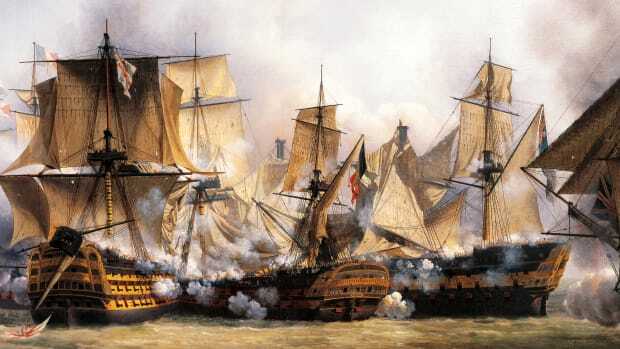 Antony’s war galleys proved slow and clumsy in the heat of combat, and Octavian’s more nimble Liburnians found success by swarming around the enemy vessels and attacking in numbers. 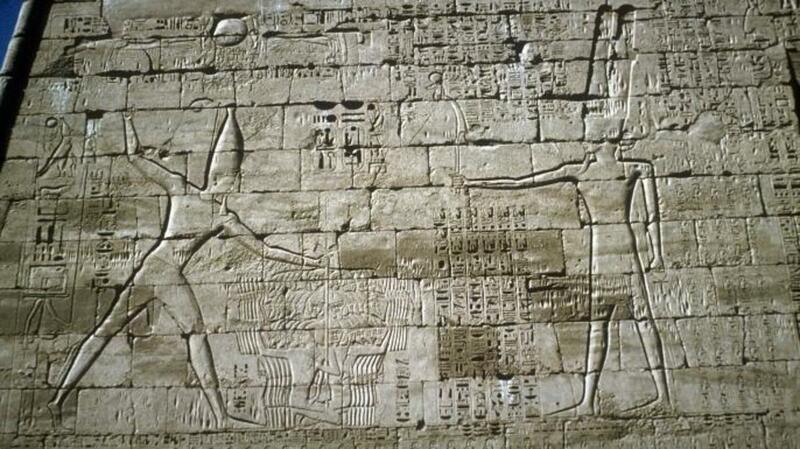 As the battle turned in Octavian’s favor, Cleopatra lost her nerve and ordered her 60 vessels to abandon the fight. A love-struck Marc Antony followed with a few ships of his own, leaving the majority of his forces to be overwhelmed by Octavian’s fleet. The defeat at Actium was the beginning of the end for Antony and Cleopatra, both of whom later committed suicide when Octavian’s forces moved on Egypt. With his main rival defeated, Octavian tightened his grip on Rome, took the honorific name “Augustus” and ruled for more than 40 years as its first emperor. The walls of the Egyptian Pharaoh Ramses III’s mortuary temple at Medinet Habu include several drawings depicting one of the earliest known naval battles in human history. The engagement took place around 1176 B.C., during a period when the Mediterranean was plagued by a mysterious maritime culture known as the Sea Peoples. These fearsome nomads had already made an attack on Egypt during the reign of Ramses II, and they were likely responsible for toppling the mighty Hittite Empire. In 241 B.C., the navies of the Roman Republic and the North African city-state of Carthage were both feeling the strain of more than 20 years of bitter conflict in the First Punic War. 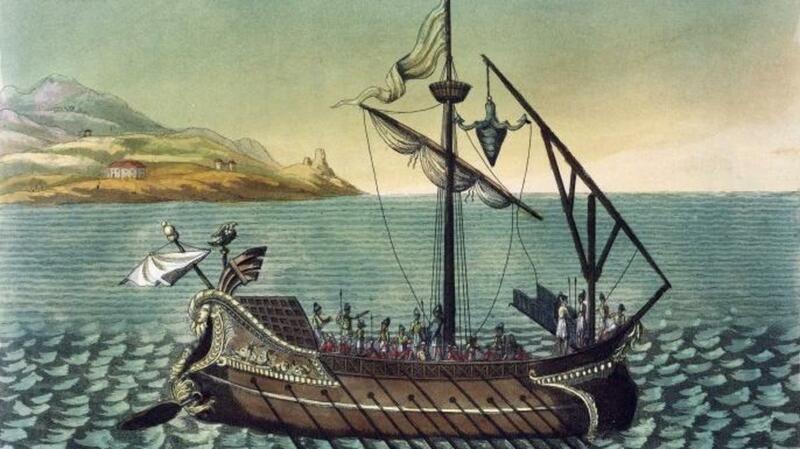 Carthage had struggled to staff its ships with properly trained sailors, and Rome was only able to build a fresh fleet of 200 quinqueremes after wealthy citizens donated vast sums of money to the public treasury. 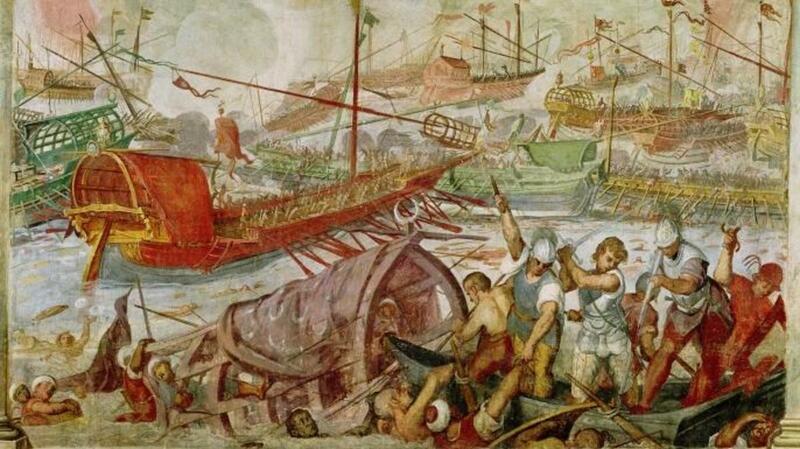 Upon putting its new armada to sea, the Romans used it to besiege the land forces of Hamilcar Barca near Sicily. When the Carthaginians sent their navy to relieve the pressure, the two sides met in a ferocious ship-to-ship battle near the Egadi Islands. Before the fight, the Roman commander Catulus cut his ships’ weight by stripping them of everything except the bare necessities of combat. 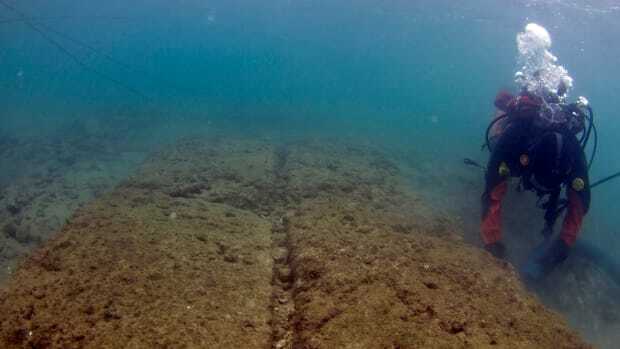 The move proved advantageous, and the Roman vessels were able to outmaneuver the Carthaginians’ heavier ships and use their bronze rams and wooden boarding ramps to devastating effect. Half of Carthage’s fleet was soon destroyed or captured, leaving its generals no choice but to agree to harsh terms of surrender to end the war. 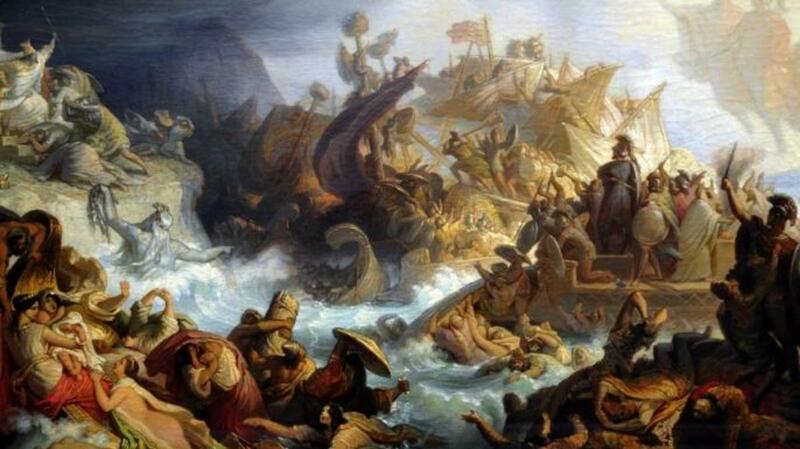 One of the most legendary naval clashes in Greek history, the Battle of Arginusae came in 406 B.C. during the Peloponnesian War between Athens and Sparta. At the time, Athens’ once-proud navy was in shambles after the Spartan leader Callicratidas sunk 30 of its vessels and besieged the rest near the city of Mytilene. The Athenian commander Conon sent word of his dilemma to Athens, which quickly marshaled an emergency armada of some 150 ships. When he learned of the relief fleet’s approach, Callicratidas set sail with 120 ships to intercept it near the Arginusae Islands. He was so confident of victory that he refused to withdraw even in the face of the Athenians’ superior numbers, a decision that proved disastrous. The Spartans were overwhelmed during a long and heated battle, and Callicratidas was thrown overboard and killed after his ship tried to ram an enemy vessel. While the Athenians won the day, they later executed six of their own naval commanders for failing to rescue several thousand sailors whose ships had been sunk during the fight. The decision left them with a critical lack of experienced leaders and hindered their efforts in later campaigns. Despite having scored a spectacular win at Arginusae, Athens and its allies went on to lose the Peloponnesian War in 404 B.C. During the dying days of the Han Dynasty, ancient China fractured into three states ruled by a trio of warlords known as Cao Cao, Liu Bei and Sun Quan. These would-be royals made repeated attempts to seize power for themselves, and their struggles eventually came to a head in A.D. 208, when Cao Cao invaded the territory surrounding the Yangtze River. In response, Liu Bei and Sun Quan banded together and raised a combined force of some 50,000 troops. This coalition army soon converged on Cao Cao as he sailed down the Yangtze with a massive armada and a complement of roughly 230,000 men. Though severely outnumbered, Liu Bei and Sun Quan gained an advantage thanks to a now-legendary ruse. 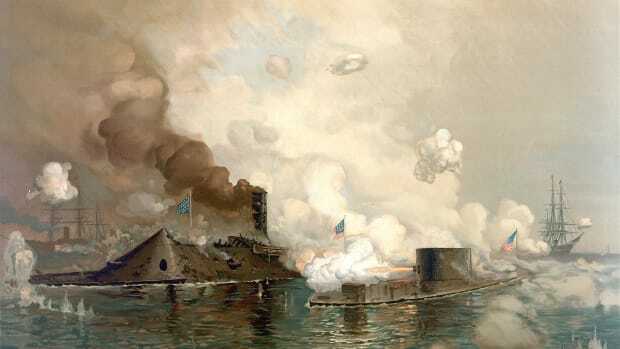 While pretending to surrender part of their forces near an area known as the Red Cliffs, their generals floated several dozen ships filled with oil and straw up to Cao Cao’s fleet and set them ablaze. 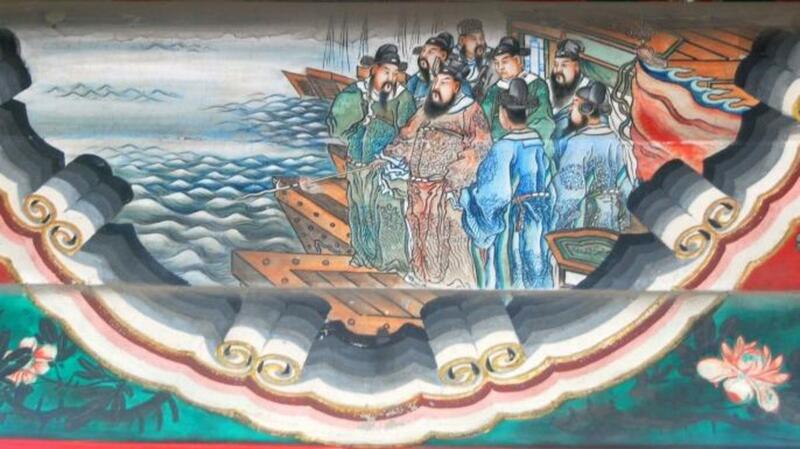 Cao Cao had unwisely chained his entire armada together, and the fire soon spread to hundreds of vessels. As Cao Cao’s men panicked and tried to escape, alliance forces launched a withering barrage of arrows from the banks of the Yangtze. Cao Cao fled the battle, leaving many of his forces to be intercepted and slaughtered as they retreated. China’s tumultuous “Three Kingdoms” period would continue for several more decades, but following the debacle at the Red Cliffs, Cao Cao’s hopes of reunifying China under his own banner were permanently thwarted.